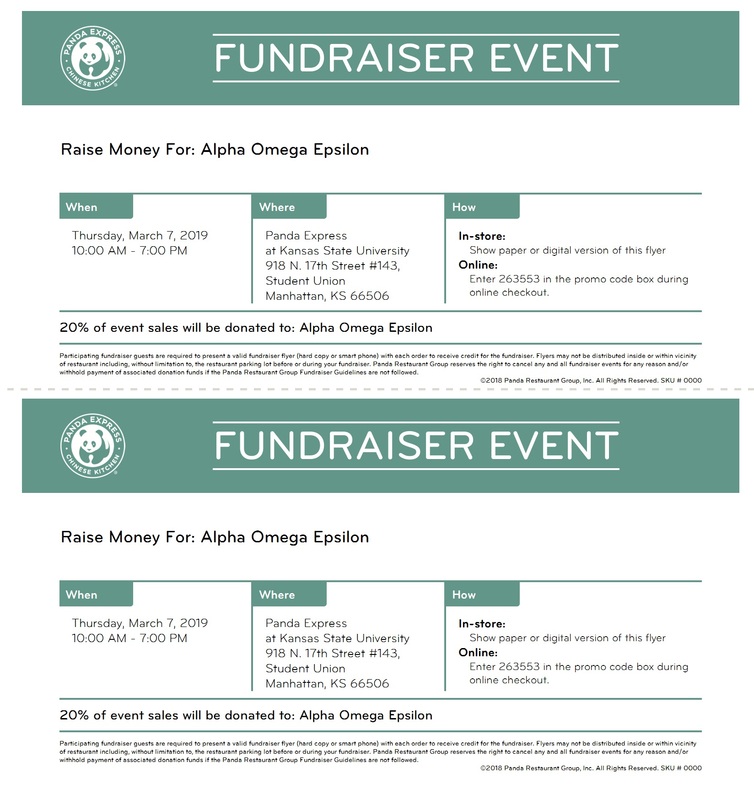 Alpha Omega Epsilon, a registered student organization, will host a fundraiser from 10 a.m. to 7 p.m. Thursday, March 7, at Panda Express in the K-State Student Union. A portion of sales will benefit Alpha Omega Epsilon, a STEM sorority on campus. Please remember to show the event flier at checkout.